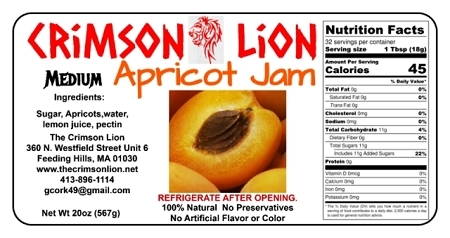 l Apricot Jam- 20 oz. Home > Shopping Store > Jams & Condiments Shopping Cart > Apricot Jam- 20 oz. We all love to offer this flavor. We make in a controlled batch size with just the right amount of sugar and ingredients. Great used an as a glaze.